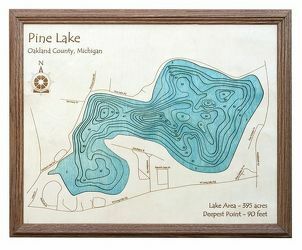 Lake Art-Wood Creations An array of unique 3D wood creations from framed art pieces to practical gifts for homes, cottages, and cabins. 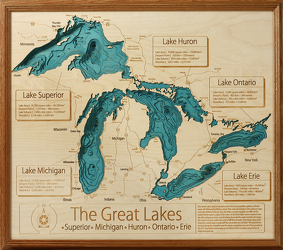 Select from over 4,000 lakes currently available or ask to create your favorite lake today. 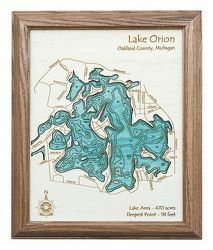 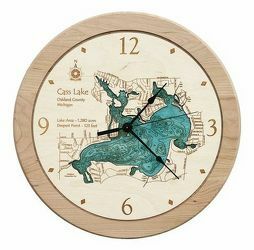 This Lake Art creation will become a cherished heirloom as well as an exciting converstation piece. 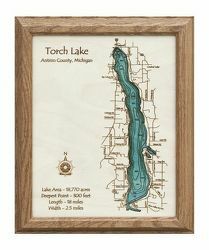 Etched topographic depth chart representation of your favorite lake, including roads and water details. 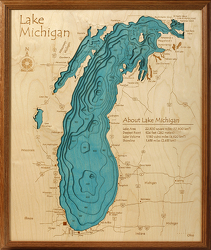 Each product is made right here in Michigan - Great Gift!